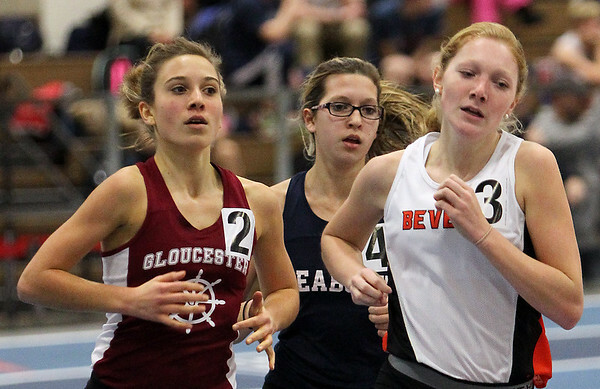 Beverly senior Julianna Wesley, right, leads Gloucester sophomore Carly Curcuru, left, and Peabody sophomore Emily Christensen, center, during the girls mile race at the NEC Conference Meet at the Reggie Lewis Center in Roxbury on Friday afternoon. DAVID LE/Staff photo. 1/30/15.